The first wave of the millennial generation has already graduated from college and experienced its first recession. The Bureau of Labor Statistics estimates that Millennials make up the largest segment of the working population in 2015. As baby boomers retire, it is more important than ever to understand the needs of this new generation–what they are looking for in their careers and workplaces. Finding highly educated, talented Millennial candidates may be easier than retaining them. 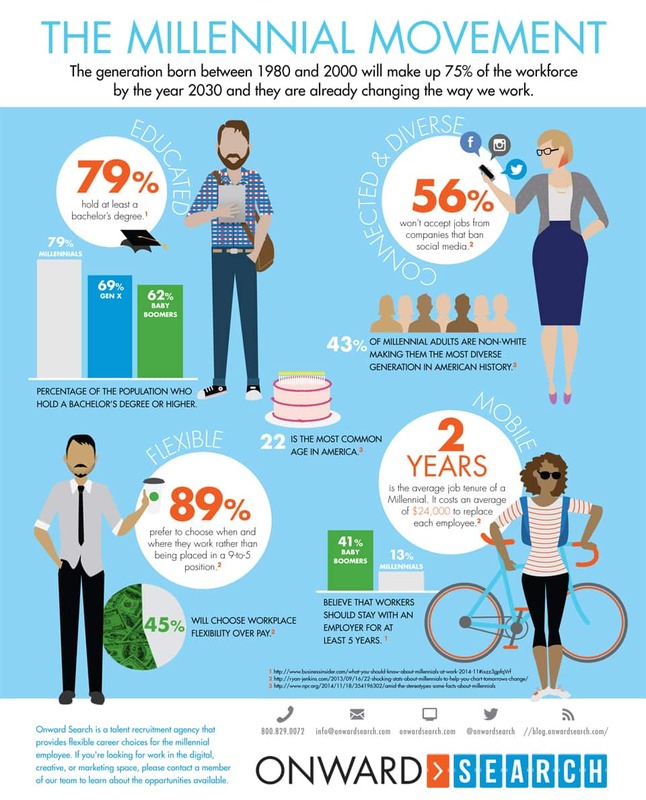 Here are some important facts about the new generational wave in the workforce.